J&N at Work - Conference with coffee and creativity! 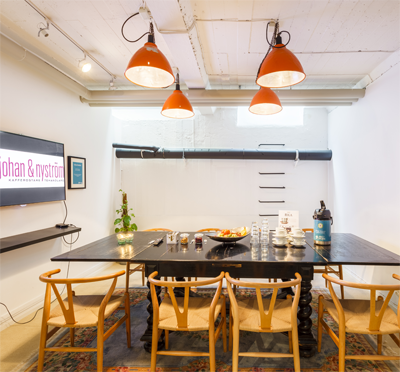 J&N at Work brings a new exciting conference concept at Kungsholmen in Stockholm. A conference organized by this facility provides an informal feel-like-home atmosphere through its free interior and comfortable furniture. The idea is to create a personal environment so the company can feel at home. Do not miss J&N at Work's own roasted coffee! We only offer day conferences. Accommodation can be booked at hotels nearby. Kontur Konferens assists you free of charge with advice and booking. 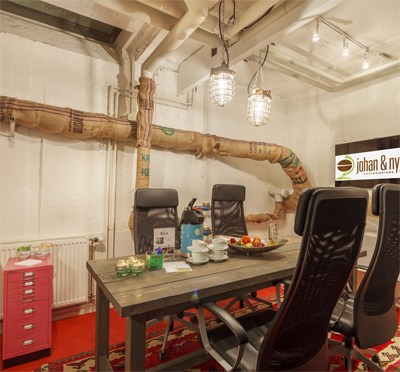 The conference rooms at J & N at Work are different in both design and decor. Our choice of colors and furnishing offer a creative environment that feels more like a relaxed office than usual meeting space. With names like Arabica, Geisha, Isola, and the Lounge, our guests understand that J&N at Work focuses on a different concept of creativity as the main idea of both facility and visiting companies. We have six rooms with slightly different layouts but the same strong personality. Rooms for between 6-35 conference and meeting guests. 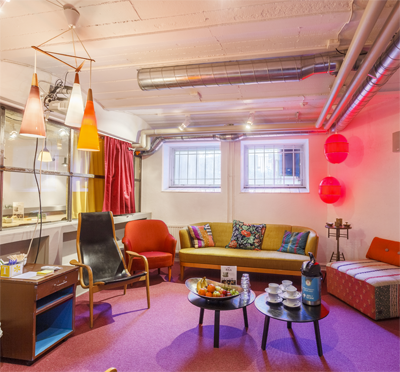 If needed, we can fix catering or helping you book one of the many nice restaurants at Kungsholmen. Different alternatives on request! The conference package at J&N at Work includes our own coffee from Johan & Nyström, tea and mineral water. When the conference group wants a break, it is possible to organize a simpler activity that pauses the work in a constructive way. There are different activities according to budget and time. From Kungsholmen you can easily reach the whole city of Stockholm. 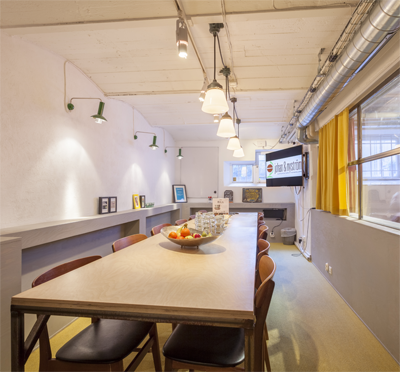 J&N at Work has a comfortable and relaxed location in the big city. Kungsholmen is a nice place to conference with a quieter environment than the city. From here, you reach the rest of Stockholm in a smooth way, while the busiest traffic and crowds do not stand outside the door. 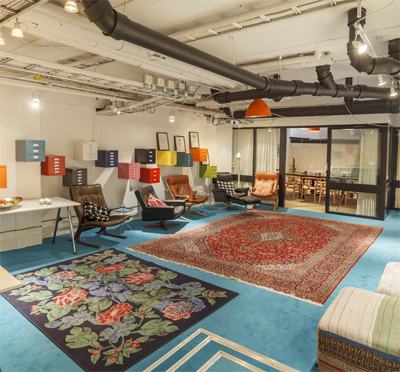 Have you been to Johan & Nyström at Work and want to give your own comments?